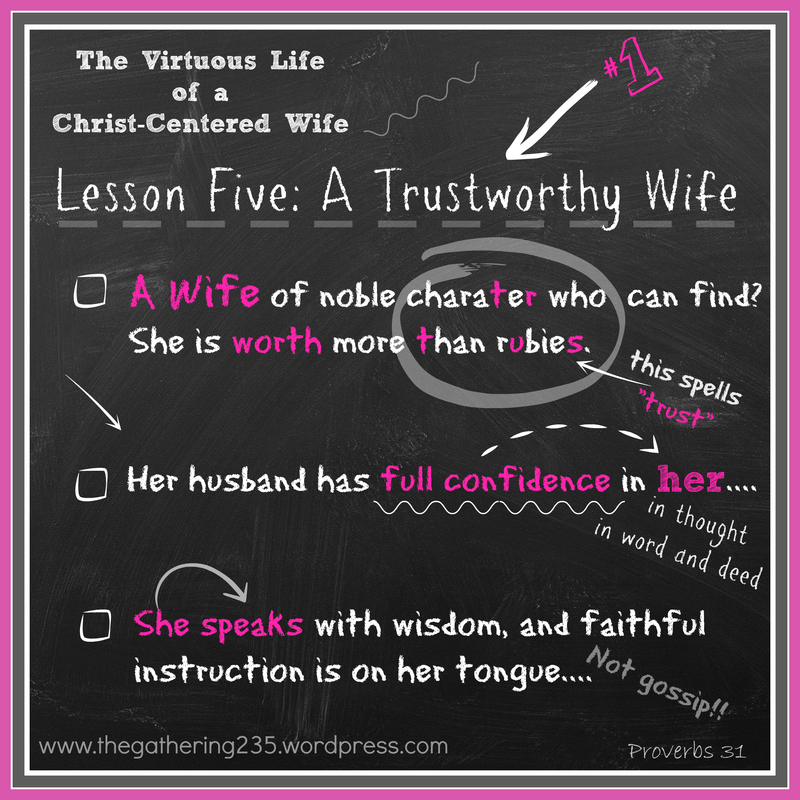 and today….being A TRUSTWORTHY WIFE. I don’t know about you…but I need to make this my ambition. My life is far from quiet… the phone is ringing, the dog is barking, the T.V. is chattering, my husbands is in and out of the company office. With all that is going on in my life, the “GREATEST NEED” my husband has is that he can trust me. He needs to know, without a shadow of a doubt, that I am trustworthy. Dave can leave for work and know with confidence, that I am handling the tasks at home and all is running smoothly. He trusts that I am taking seriously, the role God has given me as his wife, as well as the mother of his children. his heart …We can be honest with one another speaking in truth with no secrets between us. He needs me to do what I do, so he can do what he does.